While using fresh-squeezed grapefruit juice will give you a fresher taste, it will also be a little more dry and sour (which I happen to like). The salt on the rim will open up the flavors though and it is really tasty. However, if you want something sweeter, try it with store-bought juice or add a spoonful of simple syrup. The best thing about this drink (which is similar to the non-salted Greyhound) is that you can design your version of this cocktail around your favorite fur baby. Replace the gin with vodka for a Salted Siberian Husky, or tequila for a Salted Chihuahua. And while you can use regular kosher salt to rim your glass, why not kick it up a notch with some flavored salts which you can make yourself. Simply stash some of your favorite dried herbs in a small container of salt for a few weeks until the salt takes on the flavor. 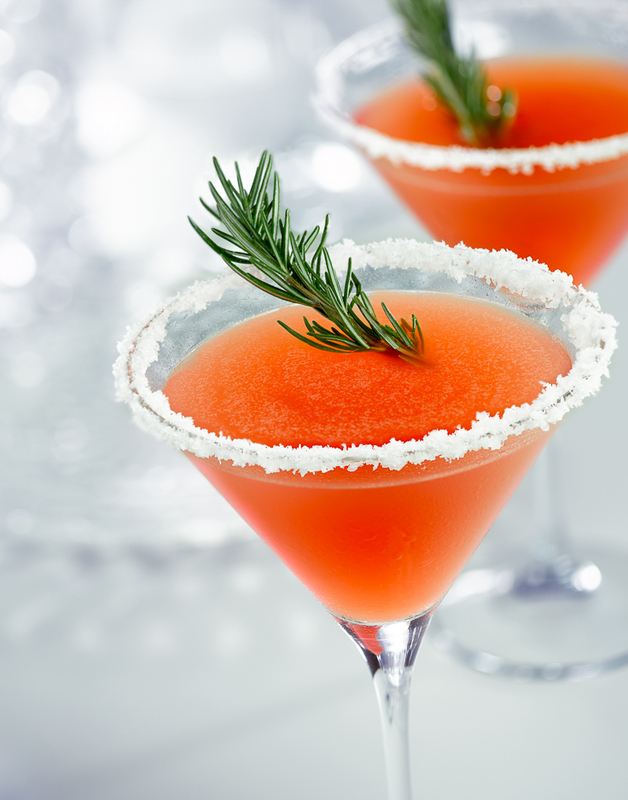 My favorite combination of this cocktail includes gin, pink grapefruit juice, and rosemary salt. Yum. Prepare a martini glass by moistening the rim with a little grapefruit juice, then dipping the rim into the sea salt. Pro tip: rim your glasses with salt in advance and let the juice dry. This will help keep the salt adhered to the glass when you serve. Fill a shaker with ice, then add the gin and the grapefruit juice. Shake vigorously until frosty cold. Strain cocktail into the glass and garnish with a small rosemary branch. This story was originally published in The Insatiable Lens, a magazine by Jonathan Gayman Photography celebrating all things good to eat and drink. You may read the full magazine online or order your own copy from Blurb.com.